An abundance of Islamic History. A GATHERING OF DIVINE LIGHT ! There is a sheet of Divine Light. Only Divine Light to be seen tonight. Both worlds are immersed in moonlight. Who pray tell, is present tonight? There is much pomp, much glory on the earth as well as the Empyrean. It is unfortunate for those who absent themselves tonight. Who knows whether this eve will dawn yet again. Allah is pleased with us tonight. Believers! Take as much as you wish tonight! Oh those who are sick! Take as much healing as you will! The Door of Mercy itself is open tonight. The clouds of mercy are spread over the gathering. The Angels from the Heavens have arrived. The Beloved Prophet Muhammad (sallallahu alayhi wa sallam) himself is present. What an auspicious night! What an auspicious night! Tonight! Ask! Ask for tears in your eyes! Ask for a love-filled heart and eyes which can see (the beyond). Ask for a place near the beloved Prophet’s residence. The right time to ask and see its frution, is tonight. There is Divine Light to be seen this side, that side, all over. All the world is joyful and prosperous. No matter who you come across, comes across most jolly indeed. There is a new fragrance in the air, tonight. May Allah bring the day when we shall all go to Madinah. May everyone’s vessel travel onwards, onwards towards Madinah. Saayim! This is what I pray for, tonight. Elevates his/her own position in both worlds. Reciting the Salawaat is the habit of Allah Almighty Himself. Recite the Salawaat! Recite the Salawaat! Recite the Salawaat! Is not recognized in the courts of light. It proves to be the greatest boon by Allah Almighty. See for yourself how many benefits one derives from reciting the Salawaat. You will find in it the good things of both worlds. Benefits by having Allah Himself showering him/her with mercies. Salutations and blessings on Prophet Muhammad (sallallahu alayhi wa sallam) and his progeny (radhi Allahu anhum). O believers! I relate to you what is documented in the Hadeeth*. This is a true happening. A story about the Salawaat and a fish. A man had purchased a fish at a market-place. For this reason put it over the fire of the stove. But, the fire had absolutely no effect on the fish. He found the fish to be as it was when he purchased it. He added more fuel to the fire, causing it to burn hotter. Now he decided, the fish would surely cook quickly. But still the fish remained unaffected. He cooked the fish for hours but to no avail. After struggling for a long while, he became angry. As the story goes, he tried for three consecutive days. With no success even after this, he began to ponder. This is when he came to a decision. He put the fish down in front of the beloved Prophet (sallallahu alayhi wa sallam). Allah the Almighty gave the fish a tongue to speak wih. Where I used to hear the Salawaat. I listened very attentively to a man whilst he recited the Salawaat. I realized now that it is the blessing of the Salawaat which has saved me from any harm. Thus the fire has had no effect on me. The beloved Prophet (sallallahu alayhi wa sallam) was listening to the Salawaat from the fish. Was addressed by the beloved Prophet (sallallahu alayhi wa sallam). “Ali, listen to how much the Salawaat benefits one. The beloved Prophet (sallallahu alayhi wa sallam) said: “The recitor of the Salawaat will surely gain my intercession. The blessings of both worlds dear believers, is in the Salawaat. See for yourself. The Salawaat represents the mercy of Allah Almighty. The beloved Prophet (sallallahu alayhi wa sallam) himself has revealed the importance of the Salawaat. We too shall as of now practice reciting the Salawaat in abudance. A fish was saved from the fire upon hearing the Salawaat. And by reciting this very same Salawaat, we have been saved from the fire of Hell. This is related from the Hadeeth. The sayings of the beloved Prophet (sallallahu alayhi wa sallam). 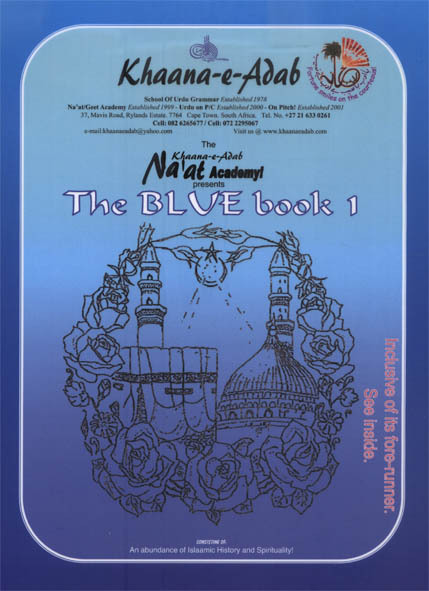 >>> NA'AT ACADEMY: 105 PAGES OF TRANSLATIONS!